Cryptocurrencies can be implemented in various business areas. Logistics are not an exception. CargoCoin introduced a digital currency specially developed for the supply-chain needs. CargoCoin unites the worlds of trade, transport, logistics, and blockchain and switches traditional documents for smart contracts. As a result, payments and terms of the orders between the client and the supplier are transparent and fair, costs are reduced. 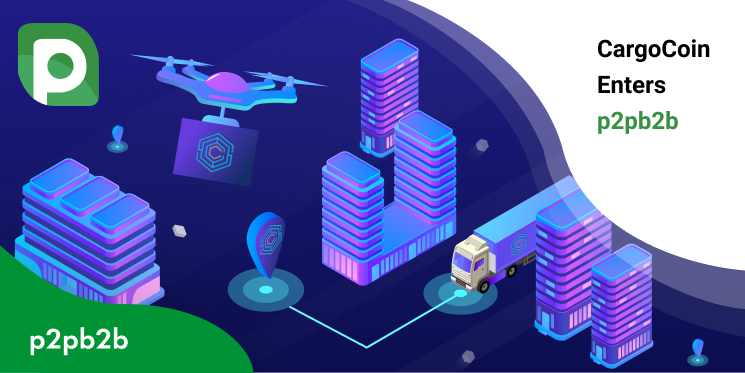 CargoCoin creates dedicated transport platforms powered by smart contracts where customers can access any transport service they need: sea (containers, bulk) and inland transportation (trucks, railways), air cargo. Get the latest news on p2pb2b website and in our social networks!